Ed-tech startup Zeroinfy has raised an undisclosed amount of seed funding from Calcutta Angels Network (CAN). The angel network also picked a 10% stake in the startup as part of the deal, a top company executive told Techcircle.in. 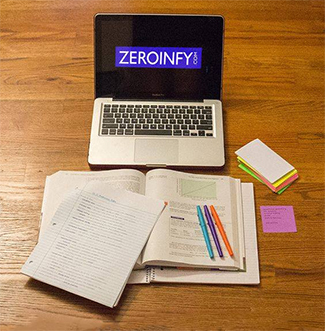 Zeroinfy Learning Services Pvt. Ltd, which runs Zeroinfy, will use the funds to build marketing and advertising campaigns, develop its app and expand to tier two cities, said Rohit Bajaj, co-founder of Zeroinfy. The startup follows a marketplace model, listing teachers on its platform. It offers students courses in seven domains—chartered accountancy, company law, actuary, financial analysis, UPSC, IIT-JEE and programming languages. To date, it has signed up 25,000 students on its platform and offers its courses across India. Zeroinfy was founded in July 2015 by chartered accountants Aditya Bajaj, Abhishek Bajaj and Rohit Bajaj (unrelated to one another). Firms in the ed-tech space have elicited considerable investor interest over the past few months. In February this year, CAN invested an undisclosed amount in Bangalore-based ed-tech firm Carveniche Technologies Pvt. Ltd.
On Monday, ed-tech firm Stoodnt raised $300,000 (Rs 2 crore) in seed funding led by Google India managing director Rajan Anandan. Last week, Byju's secured $50 million (Rs 332 crore) in a round co-led by Chan Zuckerberg Initiative (CZI), the philanthropic foundation of Facebook founder Mark Zuckerberg and wife Priscilla Chan in Asia. Times Internet Ltd, Sequoia Capital, Belgium-based Sofina and Lightspeed Ventures were the other investors that participated in the round. Global Edu4Share Pvt. Ltd, which runs Prozo, an online marketplace for buying and selling study material, raised $1.1 million (Rs 7.4 crore) from London-based venture capital firm Earlsfield Capital and Delhi-based businessmen Sailender Solanki and Rajiv Solanki. In August, Unacademy raised Rs 6.7 crore ($1 million) led by Blume Ventures, Flipkart co-founders Sachin Bansal and Binny Bansal, Paytm founder Vijay Shekhar Sharma and others. Noida-based ConveGenius, a mobile-based education startup, raised Rs 6 crore ($90,000) from Michael & Susan Dell Foundation in August. Calcutta Angels Network Rohit Bajaj stake Zeroinfy Learning Services Pvt. Ltd.